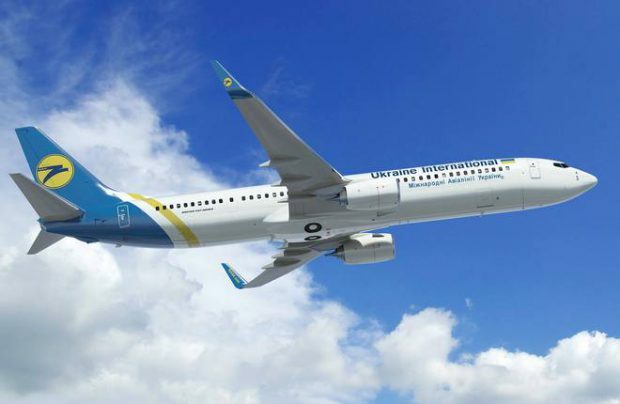 Continuing its 2018 fleet renewal and expansion program, Ukraine International Airlines took delivery of a brand new Boeing 737-800 aircraft (UR- UIB), the third out of four B737NGs expected to arrive this year. The newly received aircraft (MSN 60175), which has become 29th 737NG in the airline’s fleet, accommodates 186 passengers in two-class configuration. UIA expects to operate the CFM56-7-powered aircraft across its medium-haul route network. Ukraine’s largest carrier expects to take delivery of ten aircraft this year, two fewer than previously planned. They are four Boeing 777-200s, four Boeing 737-800s and two Embraer-195 regional jets. Three remaining Boeing 737 Classics is expected to be phased out during the course of this year. The UIA fleet consists of one B777-200, four B767-300s, 29 B737NGs, three B737CLs and five Embraer E190s, a total of 42 aircraft. Ukraine International Airlines, a 100% privately owned carrier founded in 1992, is based in Kyiv Boryspil airport and operates more than 1,100 scheduled flights per week. UIA carried nearly 7 million passengers in 2017, up 16.4 per cent year-on-year.